Cornwall is an incredibly beautiful county with strong links to the sea, situated on the very tip of the south west of England it provides residents and visitors with an astounding stretch of unspoiled coastline with more than three hundred beaches and plenty of hidden coves and inlets. The coastline is often dramatic and it is easy to imagine the smugglers of the past trying to land in many of the deserted coves and inlets around the coast. To the north, the county is bordered by the Atlantic, while to the south is edged by more gentle waters. Cornwall has a history built on tin and copper mining and many mining structures can still be seen clinging to the cliff sides. Today it is a popular destination for holidaymakers and tourists. An hour away from London Gatwick by air, the train from Paddington (London) to Truro (Cornwall) can take between 4-5 hours and it is around five hours by road. 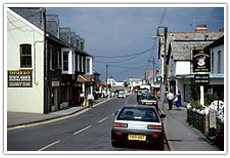 Many of the towns in Cornwall have a distinct character and offer something unique to visitors. Truro is the main county town of Cornwall; it is also the only city in the county. 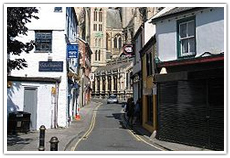 Truro is essentially an ancient market town. The original 16th-century church of the parish is incorporated into the modern cathedral which was completed in the early 1900’s to a gothic design. Many of the streets retain their original Georgian features. 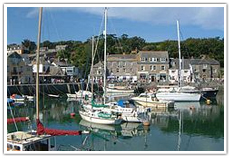 Padstow is a pretty harbor town filled with exceptional seafood restaurants which are incredibly popular with those holidaying in the county. Though not blessed with golden sands the village of Black Rock which sits across the river estuary is regarded as being the UK’s own San Tropez and is a popular destination for holidaying royals and film stars. The castle ruins which are perched on a rocky outcrop have many associations with the legendary court of King Arthur. This is where Arthur is believed to have been born. Though the ruins which are visible today date from the 12th century, signs of an earlier fortified site have been discovered which are believed to be a 5th or 6th century, all lending credence to the myth. The climate along the coastline here means that certain kinds of plants will grow here and nowhere else in the country. Housed in what was once an old china clay quarry, it is home to one of the biggest greenhouses anywhere in the world. Consisting of three hexagonal shaped domes and filled with many rare and exotic plant species from all across the globe it is now an international attraction. 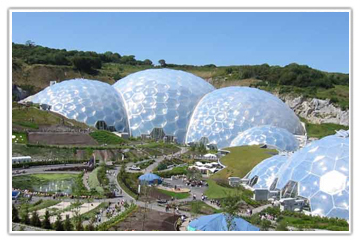 Located in St Austell, the site is open all year round from 9 am – 6 pm. Located just outside of the town of Mevagissey, these beautiful gardens were created during the mid-1700’s with work finally being completed during the mid-1900’s. Many of the gardeners lost their lives during the Second World War and the gardens fell into disuse. They were restored in 1990 and offer the visitor a unique experience. The gardens are open daily between 10 am – 5 pm. 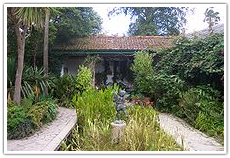 Located close to Falmouth these gardens wind their way through a wooded valley to the River Helford. 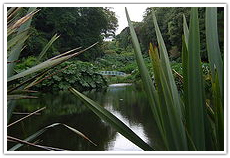 The gardens contain many subtropical species of plants which are not found anywhere else in the country. There is also a peaceful beach, known locally as ‘American beach’ as it was here that many thousands of US troops boarded landing craft in preparation of the 1944 D-Day landings. The gardens are open daily between 10 am – 6.30pm. With many interactive displays and exhibits as well as old mine workings to explore, so sensible footwear is recommended. 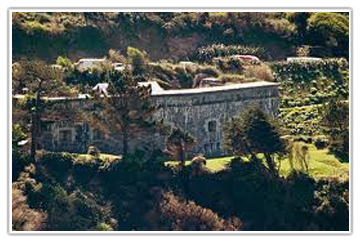 Located in Pendeen, Penzance and open Sunday – Friday between 9 am – 4 pm, see http://www.geevor.com/ for more information. 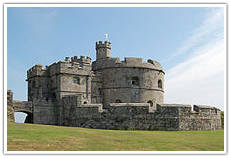 Built as part of the coastal defense strategy of Henry VIII, it was added to by his daughter Elizabeth I. 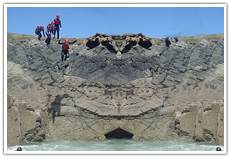 It was once again used as a part of the country’s coastal defenses during World War II. 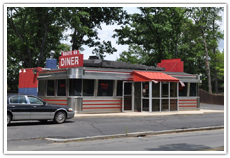 There are a number of different buildings to explore on the site. 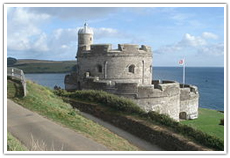 Situated on the Pendennis Headland in Falmouth, the castle and grounds are open daily all year round from 10 am. Visit the National Trust Website for further information. Discover artifacts recovered from over one hundred and fifty coastal shipwrecks, and see rare footage of the sinking of the Titanic. Also on display is the necklace worn by Kate Winslet in the 1997 Titanic movie. 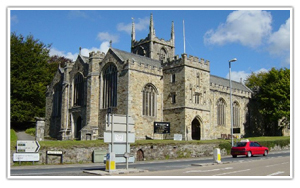 Located in Charlestown, St Austell the center is open from March to November between 10 am – 5 pm. 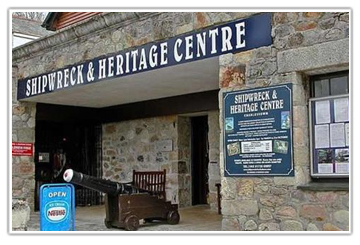 Visit http://www.shipwreckcharlestown.co.uk/ for more details. St Mawes is a small fishing village which has one of the most perfectly preserved Tudor castles in the country. Around the castle are many references and inscriptions to the honor of Henry VIII. The surrounding castle terraces offer exceptional views across to Falmouth harbor. Open all year between 10 am – 5 pm; see the National Trust Website for more information. Cornwall has a landscape which makes you want to be outdoors and making the most of the opportunities which abound. Located in Penzance Speedsail offer expert tuition to all looking to experience land yachting, no previous experience is required. After 15 minutes training in a Burkart, you could be sailing along the beach in your own land yacht. 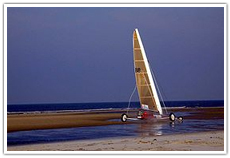 Visit http://www.speedsailuk.com/ for more details. 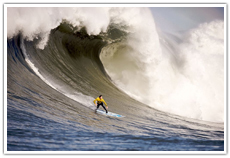 Learn to surf in Watergate Bay with the Extreme Academy. Adults and children are welcome, with a choice of half-day group lessons or more intensive one to one sessions. Find out more at http://www.extremeacademy.co.uk/sports/surfing/. Take a trip out to sea with Padstow Sea Safari’s and discover the marine life around the Cornish coast. Basking sharks, seals, dolphins, and puffins are all waiting to be discovered. Visit http://www.padstowsealifesafaris.co.uk/ for more information. Join Coastline Coasteer and discover more about the coast around Newquay. Whirlpools, rock pools, hidden coves and rock jumps are waiting for you. 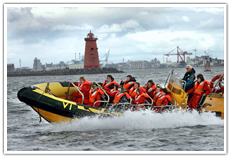 This is a true adrenalin fuelled activity and a unique way to explore the coast. Visit the Newquay Activity Centre website for more information. There is nothing more perfect than a Cornish cream tea, sample what the counties hotels and tea rooms have to offer. Located right on the Penzance waterfront, enjoy afternoon tea here for £11.99, served on the terraces overlooking the bay. Sandwiches, cakes, and lashings of clotted cream are served daily between 2 pm – 5.30pm. Visit http://www.thebaypenzance.co.uk/menus/afternoon-tea/ for more details. Believed to be the inspiration for Toad Hall in ‘The Wind in the Willow’, afternoon tea is served in a wonderful location overlooking the port and wide expanse of coastline. Choose from a range of sandwiches, homemade baked goods and warm scones with Cornwall’s signature clotted cream. Afternoon tea costs £19.50 and is served each day from 3 pm – 5 pm. 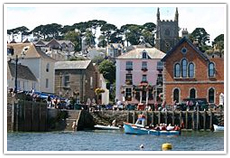 See http://www.foweyhallhotel.co.uk/food-and-drink for further details. What could be better than having the stunning Cornish coastline as a backdrop to your wedding vows? Located in St Austell, Boscundle Manor is widely regarded as being one of the most romantic of all of the country hotels in Cornwall; it makes the ideal wedding venue. This 18th-century manor house offers blossom clad walls and a level of privacy and exclusivity unique to the venue, for a celebration to remember. Located in St Ives the hotel offers couples the fairytale, ivy-covered castle of their dreams, straight from the pages of a book. During the summer couples can be married outdoors overlooking the Atlantic Ocean. With 72 acres of grounds are gardens there are many incredible photo opportunities to take advantage of. Located in Torpoint this venue boasts its own stretch of private beach. 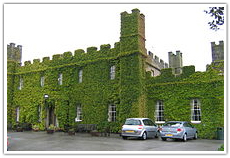 The venue is incredibly secluded and offers the wedding party the exclusivity of the venue and all of its amenities. Ceremonies can be held in the grand hall of the fort or in the grounds, depending on the season. 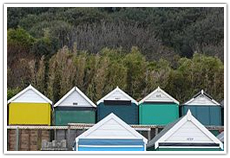 There are more than 230 campsites in Cornwall to choose from, some of which require membership to the Caravan Club. 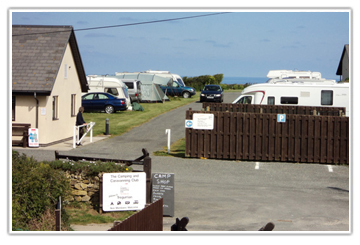 • Tregurrian Camping and Caravan Club Site – Tregurrian, Newquay, Cornwall. 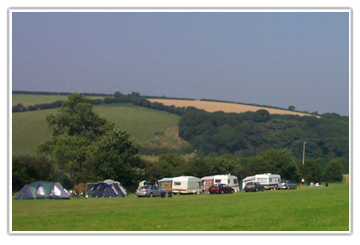 • Veryan Camping and Caravan Club Site – Veryan, Truro, Cornwall. • Cross Coombe Farm Certificated Site – Cross Coombe, St Agnes, Cornwall. • Bos Verbas Certificated Site – Praa Sands, Penzance, Cornwall. 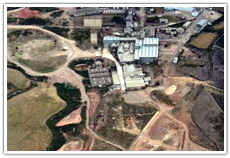 • Woodbury Touring Certificated Site – Penstraze, Truro, Cornwall. • Helford River Camping Certificated Site – St Martin, Helston, Cornwall. 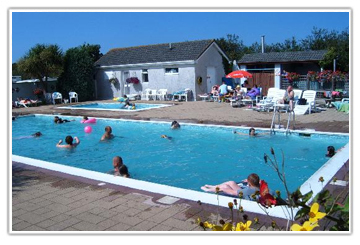 • Monkey Tree Holiday Park – Rejerrah, Newquay, Cornwall. 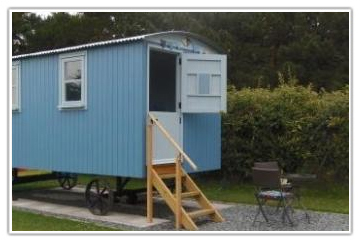 • Trevedra Farm Caravan and Camping Site – Sennen, Penzance, Cornwall. • Perranporth Camping and Touring Park – Budnick, Perranporth, Cornwall. • Deep Meadows – Trevellas, St Agnes, Cornwall.